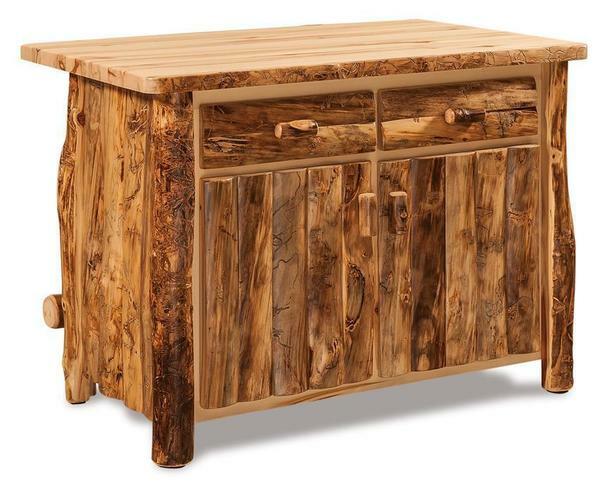 This cedar wood bar is Amish handcrafted in the USA. It comes with authentic cedar logs on the sides, front and back. If you would like a less rustic look call to order this Amish bar with finished cedar sides. This also makes a great kitchen island. If you are looking for bar stools to go with this bar then check out our Amish Cedar Bar Stools with Swivel.